Ecobots twin cloth nappies pack contains all you need for twins for the first two sizes. This is a larger pack than our standard size packs, because with twins you need more, but not necessarily two of everything. 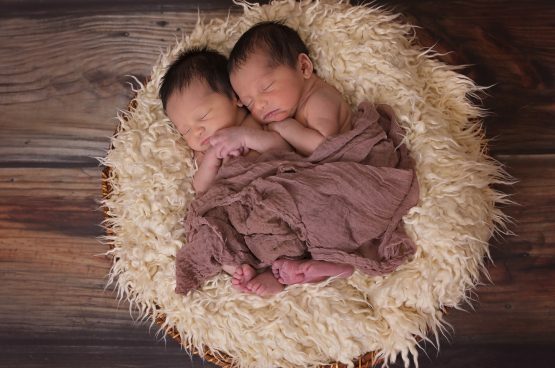 Ecobots are the perfect choice for twins, when considering cloth nappies, as they are quick and easy to use, quick drying and like all cloth nappies will save you money. With no complicated folds or pins needed, yet quick drying and made from natural cotton, these nappies are ideal against your tiny babies’ sensitive skin. Check out our articles for more info. Ecobots cloth nappies are ideal for newborn babies, and perfect for your twins. 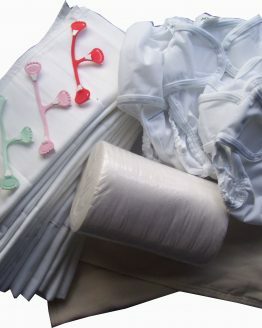 Our twins cloth nappy pack contains our fantastic double gusset nappy covers, which contain leaks and poo explosions. With velcro closures to help get the right fit, and a notch in the front of the cover so that it will not rub on their umbilical stump, our covers are great for newborn babies. Our pure cotton prefold nappies are quick to dry, and being natural cotton, kind to their sensitive skin. Ecobots have been used and loved by thousands of New Zealand parents, and we are sure that you will love our twin cloth nappies pack for your twins. With everything you need to start out in cloth nappies, using our twin cloth nappies pack is the ideal way to save money.